Are you currently a caregiver? Do you know somebody who is? Caregiving can be an all consuming responsibility – especially if your loved one is battling with dementia. Be careful not to let your ‘new job’ get you isolated. It is important for your loved one that you take care of yourself in this journey of caregiving. You don’t know if you will be needed for a few months or a few years. Take care of yourself from the beginning. Click here for the resources to support groups for caregivers from Part One of Practical Tips for Family Caregiving. Tip 2 Ask for help BEFORE you burnout. You may feel reluctant to ask for friends or family to help. Reality is many are willing to help but either don’t know you need help or don’t know how to help. Most agencies have a minimum number of hours like 2, 4 etc. We used a care giving option with my mother-in-law. She refused to go into assisted living, so we had caregivers come 3 afternoons a week. Help with bathing, social interaction, do light housekeeping. Family would come by and take her grocery shopping, doctors’ appointments, and out to dinner. In my dad’s situation, the kids rallied and sent money for him to bring in a caregiver a couple times a week. We didn’t live close by to help. That worked well. Dad re-engaged with his bridge club folks and ran errands. Mom was insulted at having a ‘babysitter’. The ‘help’ became housekeeping help – light cleaning and laundry. But always had time to have a cup of coffee with mom. We definitely had a jewel. You might find creative ways to fill in the ‘gaps.’ Dad played with a poker group. They would rotate who hosted the game. Dad offered to be the permanent host. He could do something he enjoyed and monitor mom at the same time. His poker buddies were happy to accommodate him. Sometimes having a paid caregiver is more productive. Family members may have a difficult time getting spouse or parent to do their exercises or eat a healthy meal. An outsider can have more success in accomplishing those tasks. Respite care allows you to get away from the daily grind. It is more than just a few hours. It is a vacation. You might literally take a vacation. You may have family come stay. My aunt was the primary caregiver for my grandmother. One week, every 3 months, my uncle’s family became the caregiver. 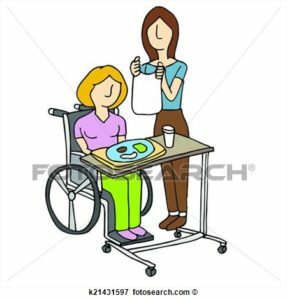 Many assisted living facilities have respite care options available. Cost can be a deterrent from using some of these services. My dad was reluctant to spend because mom might need more expensive care later. That’s why the kids covered the costs for several years. However, care giving can be exhausting and hard on your own health. I have seen too many times, when a spouse finally places a loved on in assisted living. Then the spouse dies within the next month. I think they literally died from exhaustion. Reach out for help at the beginning of the journey. Stay connected with friends; engage in activities you like. The journey may only be a few months or it may be several years. Prepare to go the distance AND maintain your well being.